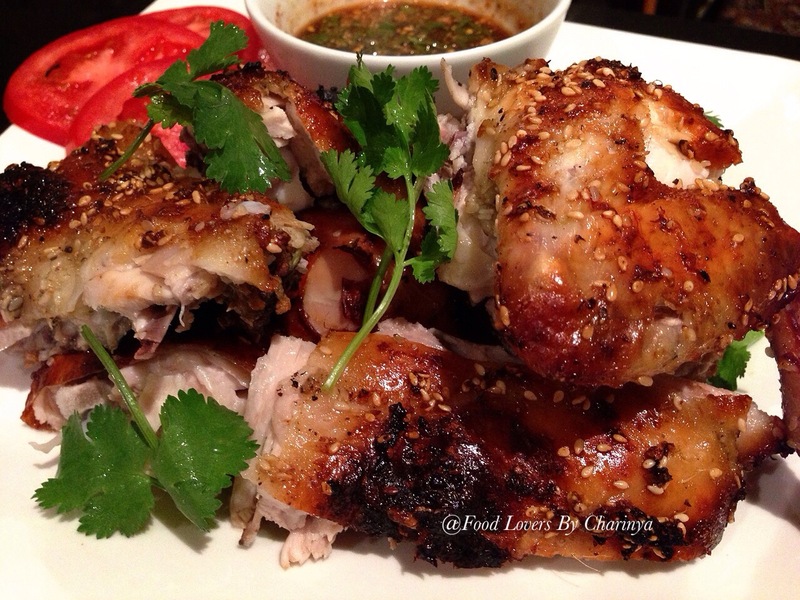 Grilled chicken Thai style, or as we call it in Thai language, Kai Yang ไก่ย่าง. This dish you will see both as street food as well as in good restaurants. It is often paired with papaya salad (som tum) and sticky rice (khaw-niow). It is also eaten with raw vegetables, and often dipped in spicy sauces. I got this recipe from the Kruaklaibann website (www.kruaklaibaan.com). This website is where all the Thai people who live overseas share their cooking. 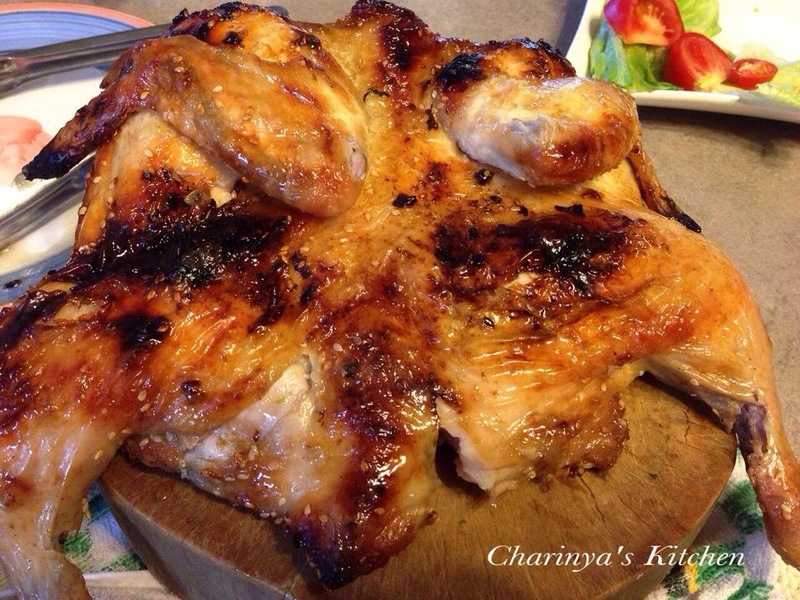 The recipe comes from Khao Suan Kwang (ไก่ย่างเขาสวนกวาง) a district in Northeastern Thailand where they have a really good reputation for doing grilled chicken. 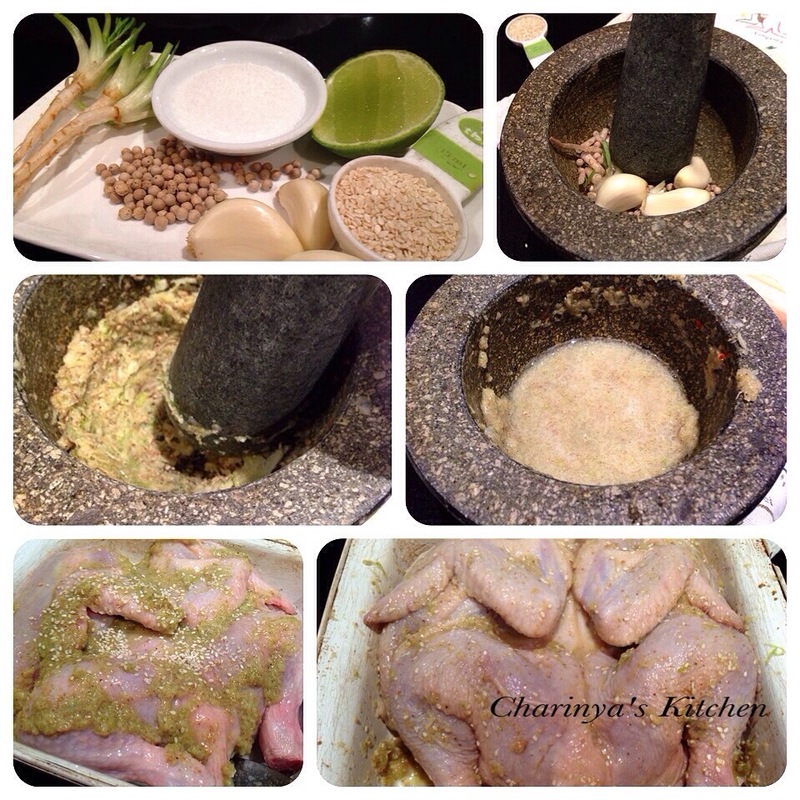 Grind garlic, coriander root and pepper, then add salt, sugar, water and lime juice. Baste the chicken with this mix, sprinkle with sesame seeds and then leave in the fridge overnight. The next day the chicken can be grilled to perfection.